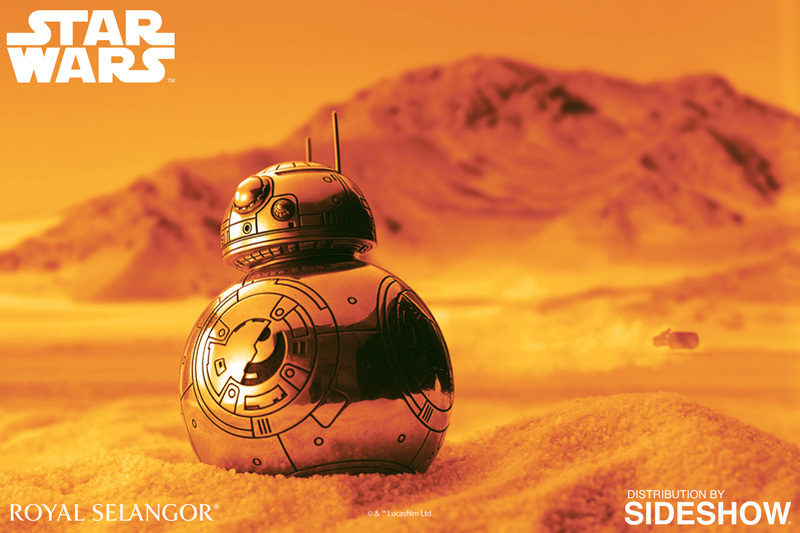 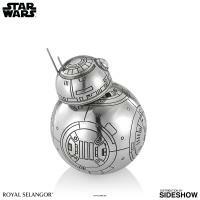 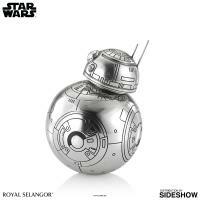 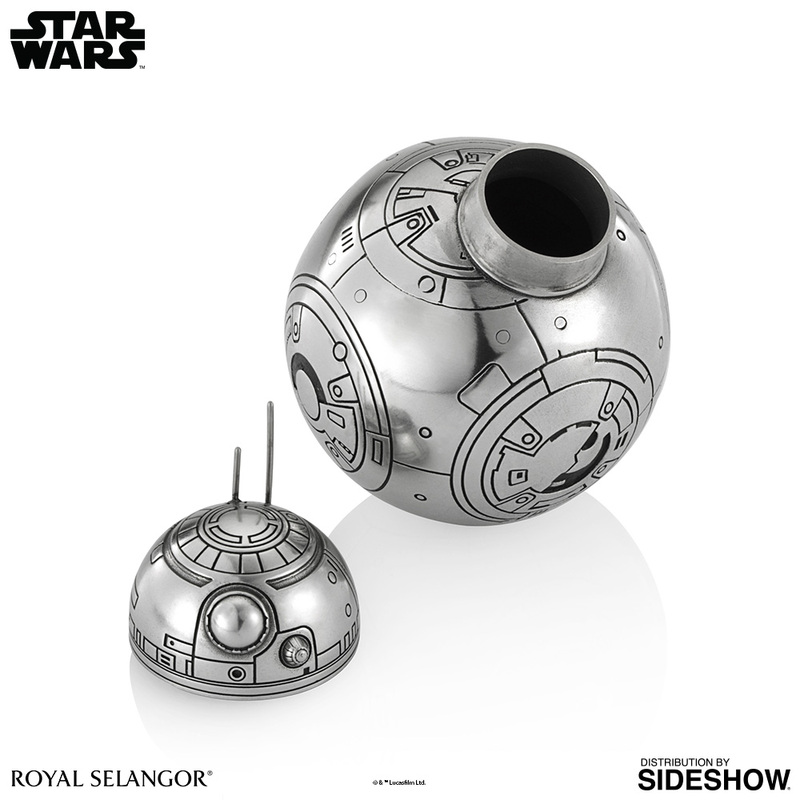 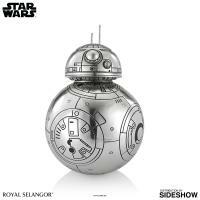 Royal Selangor, the world's foremost name in quality pewter, has teamed up with The Walt Disney Company Southeast Asia to launch a collection that commemorates STAR WARS, one of the most successful movie franchises of all time, and worldwide popular culture phenomenon! 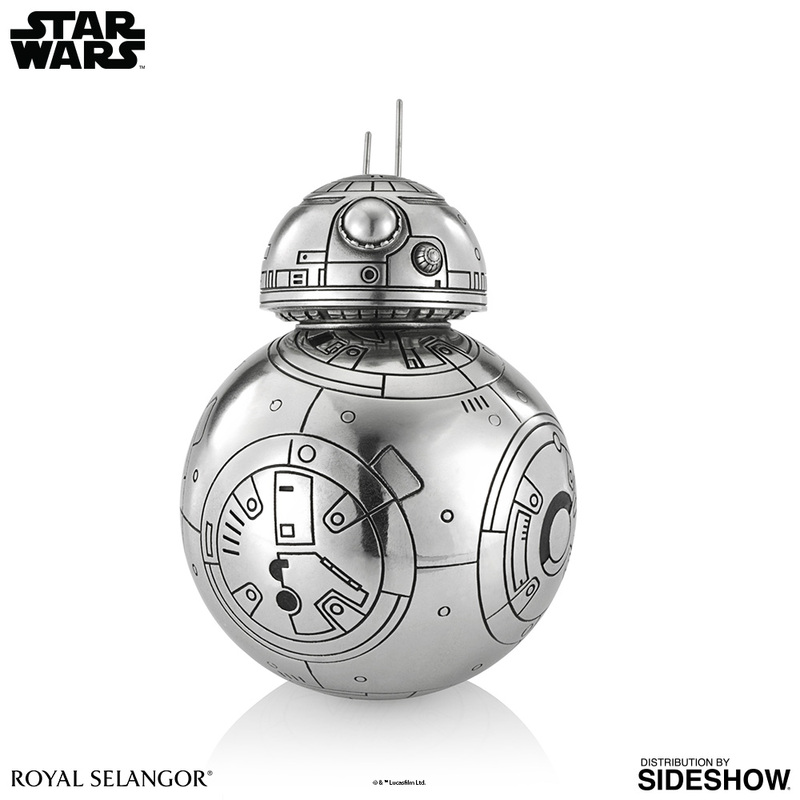 BB-8 is an astromech droid that moves on a rotating ball in Star Wars: The Force Awakens. 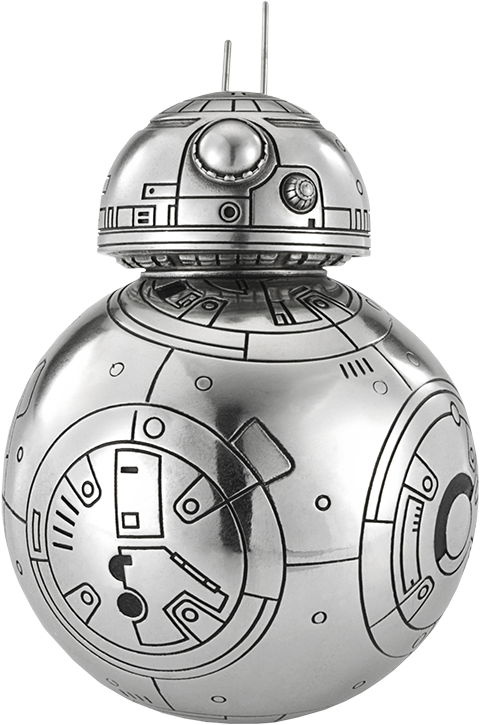 Carrying part of a map that leads to Luke Skywalker, he is forced to part with Poe Dameron, his master, and close friend. 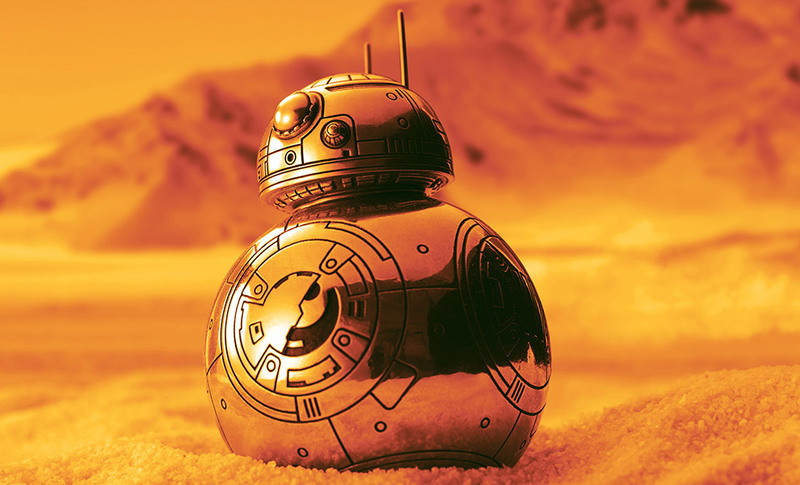 He travels across the deserts of Jakku in order to keep the map out of the hands of the First Order. 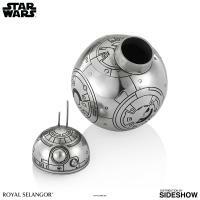 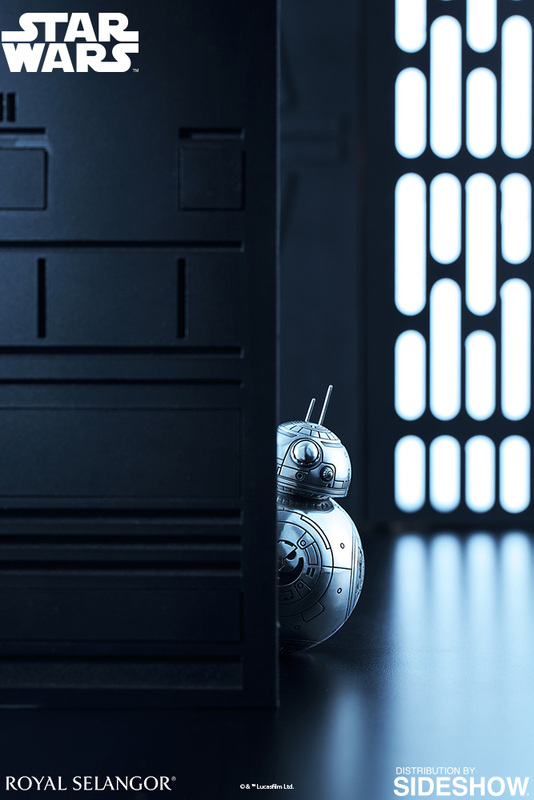 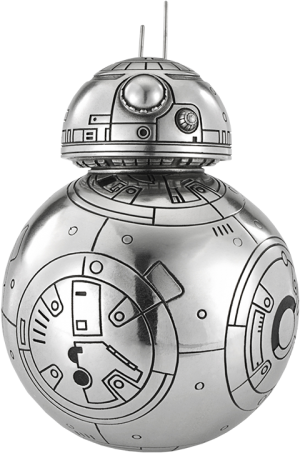 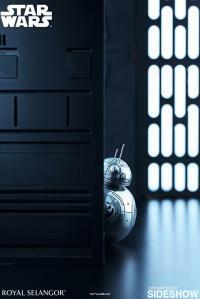 The little ball droids spherical form is captured in beautiful detail in this Star Wars collectible.